Special cells called podocytes aid the kidneys as they clean the blood and balance the body's fluid levels. Podocytes filter blood as it passes through the cells' foot-like projections they are named for, interwoven like the fingers of clasped hands. Colorectal cancer is the fourth leading cause of cancer-related deaths worldwide. In a new study, researchers demonstrate for the first time that a previously uncharacterized protein is increased in colon cancer. The protein is immunoglobulin containing proline rich receptor-1 (IGPR-1) which was recently identified in the same laboratory as a cell adhesion molecule. Chemotherapy prolongs life for older adults with most types of cancer, but for women over the age of 80 with breast cancer, the chances of survival due to chemotherapy are significantly lower, according to a study led by researchers from The University of Texas Health Science Center at Houston. In a phase 2 clinical trial, women with small (stage 1), HER2-positive breast tumors who received a combination of lower-intensity chemotherapy and a targeted drug following surgery were highly unlikely to have the cancer recur within three years of treatment, investigators at Dana-Farber Cancer Institute and other institutions report in a paper published today by the New England Journal of Medicine. Patrys Limited, a clinical stage biotechnology company, is pleased to announce the clinical results from a patient treated with PAT-SM6 in combination with other marketed multiple myeloma drugs. In a new study, women with relatively small, HER2-positive breast tumors who received a combination of lower-intensity chemotherapy and a targeted therapy following surgery or radiation therapy were very unlikely to have the cancer recur within a few years of treatment, investigators at Dana-Farber Cancer Institute and other research centers will report at the 2013 San Antonio Breast Cancer Symposium. Combining the chemotherapy drugs docetaxel and carboplatin with the HER2-targeted therapy trastuzumab was identified to be an ideal postsurgery treatment option for patients with HER2-positive breast cancer, regardless of tumor size and whether or not disease has spread to the lymph nodes, according to results from the BETH study presented here at the 2013 San Antonio Breast Cancer Symposium, held Dec. 10-14. Presence of normal p53, a tumor suppressor gene, instead of a mutated version, makes breast cancer chemotherapy with doxorubicin less effective. The preclinical study led by MD Anderson scientists was published today in the journal Cancer Cell. A new study released this Wednesday revealed that breast cancer that is highly aggressive but caught early could be best treated with a combination of Herceptin and chemotherapy. BSD Medical Corporation today announced the inclusion of hyperthermia and chemotherapy as a recommended cancer treatment for Stage IV sarcomas in the "Practice Guidelines in Oncology", which is issued by the National Comprehensive Cancer Network. A hip fracture is not common in a 54-year-old woman, unless she is a 54-year-old breast cancer survivor, according to a new Northwestern Medicine study. Researchers found that a combination of early menopause due to breast cancer treatment and common drugs used to treat breast cancer, could be weakening the bones of breast cancer survivors once they hit middle age, leading to hip fractures. The next generation of drug therapies and enhanced treatment approaches for various forms of lymphoma are evolving as researchers continue to better understand how these cancers progress. Research will be presented today at the 52nd Annual Meeting of the American Society of Hematology introducing promising new options for the standard treatment of advanced asymptomatic follicular lymphoma, mantle cell lymphoma, and early, unfavorable (referring to patients with clinical stage I or II disease and one or more risk factors) Hodgkin disease. Omeros Corporation, a biopharmaceutical company committed to discovering, developing and commercializing products focused on inflammation and disorders of the central nervous system, today announced that a compound identified by the Company as an antagonist of GPR87, an orphan GPCR recently unlocked for drug development by Omeros and linked to squamous cell carcinoma, potentiates the tumor-killing activity of doxorubicin (Adriamycin), a widely used chemotherapeutic agent. Seattle Genetics, Inc. and Millennium Pharmaceuticals, Inc.: The Takeda Oncology Company today announced that they have initiated a phase I clinical trial of brentuximab vedotin (SGN-35) in combination with chemotherapy for the treatment of newly diagnosed Hodgkin lymphoma patients. Brentuximab vedotin is an antibody-drug conjugate (ADC) that is also in single-agent clinical trials, including a pivotal trial for relapsed and refractory Hodgkin lymphoma and a phase II trial for systemic anaplastic large cell lymphoma. Chemotherapy generally improves survival in postmenopausal breast cancer patients, according to a landmark study led by Dr. Kathy Albain of Loyola University Health System. 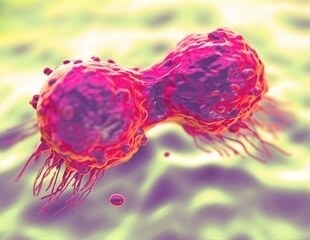 Researchers at the Johns Hopkins University School of Medicine have discovered how a whole class of commonly used chemotherapy drugs can block cancer growth.